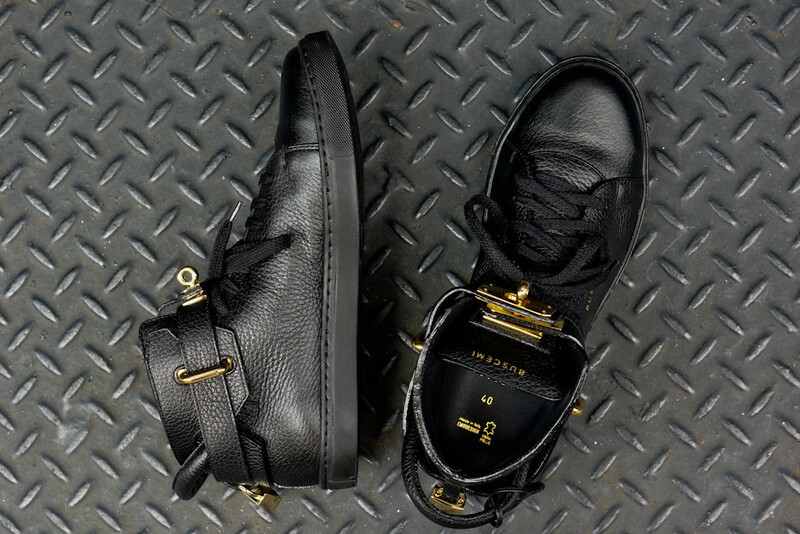 Luxury can morph itself. 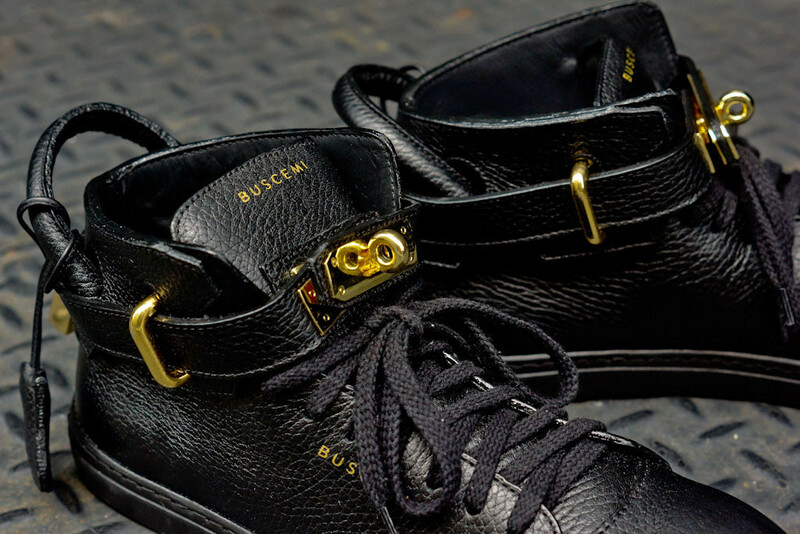 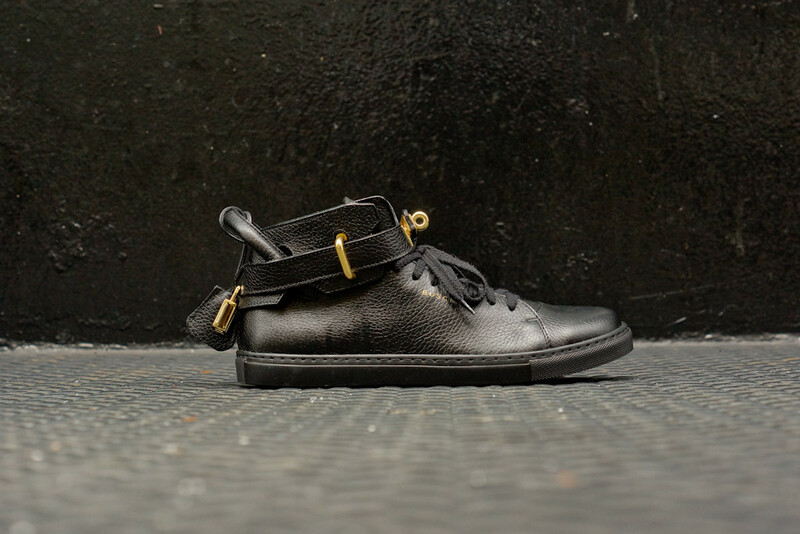 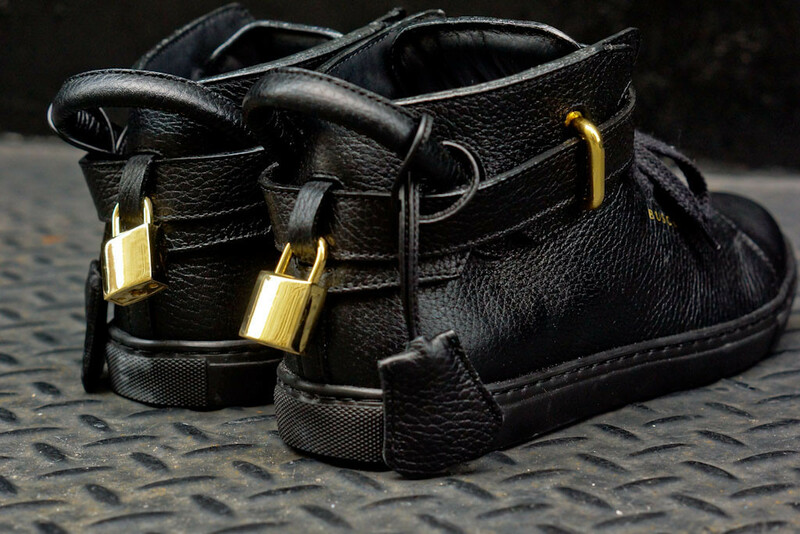 As classic and tasteful as the famed French Birkin is this updated and remixed luxury sneaker for men by John Buscemi. 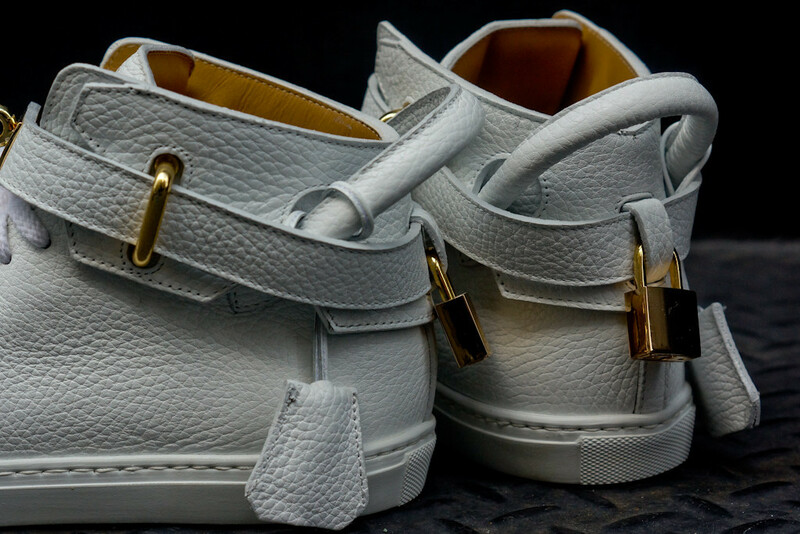 His 100MM sneaker is reminisces on the famed bag. 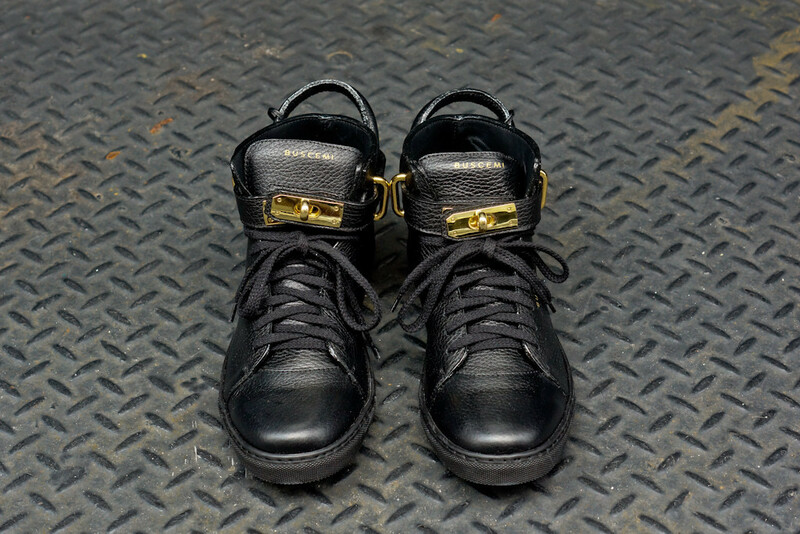 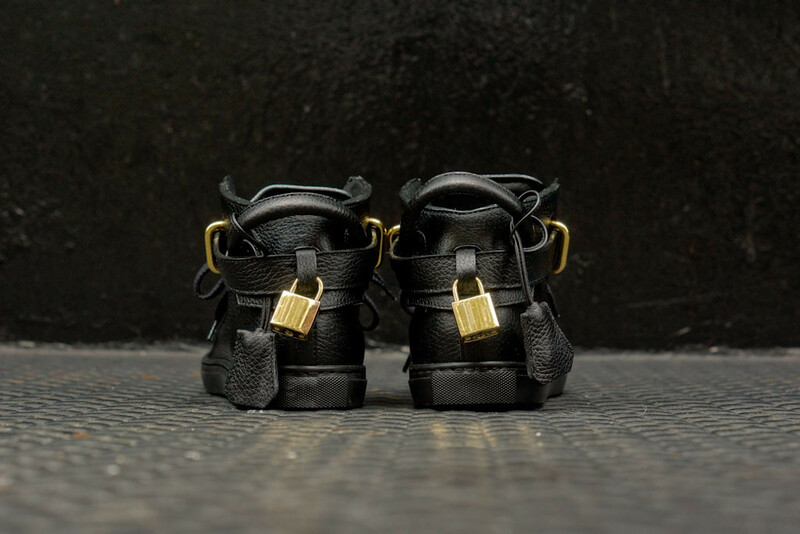 He used premium leather and polished gold hardware for a refined play on texture and detail. 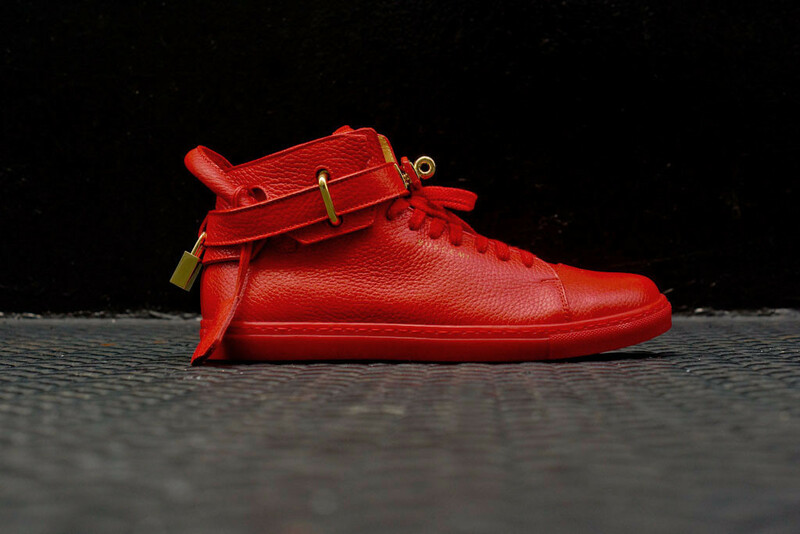 Now your kicks can match her bag, perhaps. Its available now in three color-ways, black, red and white at KithNYC.com.